Inside "Diabetic Sweets and Treats" you'll find many of our best diabetic dessert recipes created by diabetics for diabetics. They're low in carbohydrates so they can easily fit your healthy meal plan. 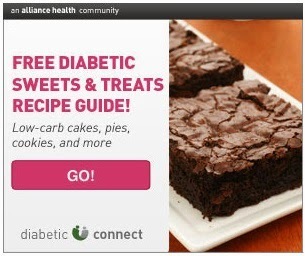 There's no cost or obligation — get your FREE Diabetic Sweets and Treats Guide now! Also check out the ever-popular: Free Diabetic Meter! -- Qualify to receive a free Diabetic meter in the color of your choice, and meal planning tools such as our recipe book, meal planner, blood sugar tracker, and more. Yours at NO COST when you qualify.